A Fresh Direction in Produce Hauling. If we don't answer the phone and fail to return your call within 20 minutes, when in possession of your load, it's free! Guaranteed on time delivery or you won't be charged. Loading from all major California pick up points. 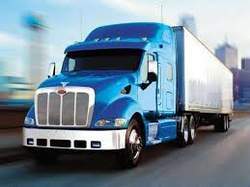 Daily LTL to all California Bay Area and Los Angeles Markets. The most experienced and reliable drivers available. 24 hour staff available for your peace of mind. Delivery notification on every load. Check in and loading notification upon request. Licensed and bonded for your protection. Fully insured, responsible for driver compliance and claims. © Segoviano and Sons, Inc.